A little-known 123-year-old company which began as Chattanooga Medicine Co. back in 1979 has seen its stock price jump six-fold (600%) in the past 18 months. Interestingly, after all these years, they are still doing things in an unconventional way. Initially the company got started when their salesmen struck barter deals with farmers across America. They'd provide the farmer with a needed improvement, such as a new roof for the barn, in exchange for the right to paint ads on the barn for one of their products. Today the company is known for its ability to buy well-known, undermarketed brands, and then pitching them with short, simple ads on TV and radio. Chattem spends about a third of its annual revenue ($225 million) on advertisements. They stretch out costs by hiring freelance ad people instead of big agencies, shooting ads quickly, and buying numerous 10-second spots instead of relying on fewer 30-second ones. In our newest feature, "Focus On Excellence," is a scintillating conversation with Tradecorp's Art Goehring about the future of the barter industry. Click on "Issues." Founded in 1982, ITEX Corporation (OTCBB:ITEX) is a trading and business services company with domestic and international operations. ITEX Corporation's third fiscal quarter (ending April 30, 2002) reported a net income of $185,000, compared to a net loss of $870,000 for the same period last year. Total costs and expenses for the quarter decreased by $1,140,000 compared to the same period last year. CEO Lewis "Spike" Humer says the stage has been set for future top line growth. "In upcoming quarters we expect to see positive results from our efforts to develop new marketing programs, and the addition of resources dedicated to recruiting and training additional independent licensed brokers." 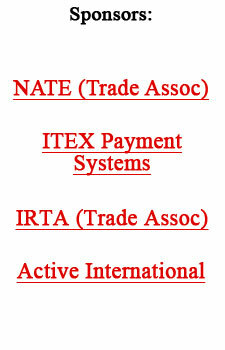 For more information on ITEX see www.itex.com. "I think the answer is simple...tradable inventory! There are not too many deals that can't be put together with an abundance of airline tickets or electronics or computers." The stakes are enormous, according to Business Week, as our economic system depends on the accuracy of information. So it's disheartening to see so few CEOs speaking out to urge reform in accounting, restraints in executive compensation, honesty in financial analysis, and integrity in corporate governance. To make a high-growth, high-risk equity culture work people must have honest financial data available. What's at stake today is nothing less than popular trust in the markets. The trust crisis is reinforced by the fact that Wall Street, even with a major blowoff the past two years, is flat despite predictions of a 3% to 5% growth rate in the GDP...such flatness (when the economy is growing) is a real rarity following a recession. NBC Entertainment President Garth Anceir was quoted in telling how barter enables TV executives to lower their operating costs. Other news was BigVine's co-founder Eric Gertler leaving, and ITEX founder Terry Neal agreeing to a settlement with the SEC. Heartfelt condolences go out to Kurt Refvik, who previously worked along side Don Parks at BarterNet in Winnipeg, Canada. (Kurt and Don have attended numerous IRTA and NATE Conventions.) Kurt's 33-year-old wife, Kathy, passed away on May 30th due to complications from surgery. She leaves behind Leif, 2, and Nils, 4. A trust fund for the two boys has been set up. If you live in Southern California, Houston, Phoenix or Seattle you've heard of Cal Worthington and his "dog" Spot! The 81-year old entrepreneur started in the car business in Corpus Christi when he rented a dusty lot for $25 in 1948. In 1950 he moved to Los Angeles, where he moonlighted as a radio traffic reporter, circling the city in a plane every morning and afternoon, in exchange for advertising time on three local stations which he then used to advertise his cars. Today, his six dealerships, three shopping centers and one office tower gross more than $600 million a year. Worthington also owns 10 ranches in California, Oregon and Nevada where he raises cattle, potatoes, nuts and alfalfa. On page 117 of the FastStart Program II is an in-depth look at the possible trillion-dollar-a-year business looming on the horizon, as companies around the world could embrace corporate barter to exchange unproductive assets of every kind imaginable. That's about 2,500 times today's fulfillment activity. Malaysia has purchased three French submarines for 1.04 billion euros ($1.1 billion). They will be used to police the 4,490-km (2,806 miles) long coastline which is susceptible to threats of piracy and illegal migration. The deal was sweet for Malaysia as half of the purchase was covered via barter (commodities and local investments) to be made by the manufacturers. It's the first time a defense contract has seen 50% savings in foreign exchange. A study done for The Wall Street Journal by Thomson Financial found that the stocks of the top 50 acquirers (corporations making many acquisitions per year) of the late 1990s have fallen three times as much as the Dow Jones Industrial Average. Regal Entertainment theater chain, some 5,885 screens, is investing $60 million through next year on costly digital projectors. Which means another media arena will soon be opening up, as the theaters will be able click ads into place with a computer mouse, instead of the laborious cut-and-paste method or the glorified slide shows used by most theaters now. Speaking of China's growth in ad spending, their television market is arguably among the most competitive ones in the world, with more than 400 regional television stations and nearly 3,000 channels. China has 100 million cable households. If you've missed any of our weekly Tuesday Reports the past three years we have an archive of issues for you at the bottom of this week's letter...check it out! A mortgage covering two or more pieces of property. Something to equalize a trade or balance equities--often cash, but could be anything.